Junior fiction lovers rejoice! Books seven and eight of the super popular D-Bot Squad series are here. And they are awesome! Louise Park and Susannah McFarlane, who combine to become Mac Park for this great kids series, have delivered an action packed conclusion to the D-Bot Squad adventure. If you’ve never heard of this series before, it’s well worth a look. It follows the story of dinosaur-enthusiast Hunter Marks, who is chosen to join the super-secret D-Bot Squad to capture dinosaurs that have escaped from a top-secret facility. To aid him in his quest, he has high-tech gizmos and gadgets, including all the supplies he needs to build robot dinosaurs — D-bots — so he can track the escapees and teleport them back to safety. These are great books for junior readers. They are short and action packed, with fun black and white illustrations by James Hart peppered throughout and large and simple text that's easy for kids to read. Each book follows on from the last, ending in a dramatic cliff hanger that will leave kids begging for the next book. 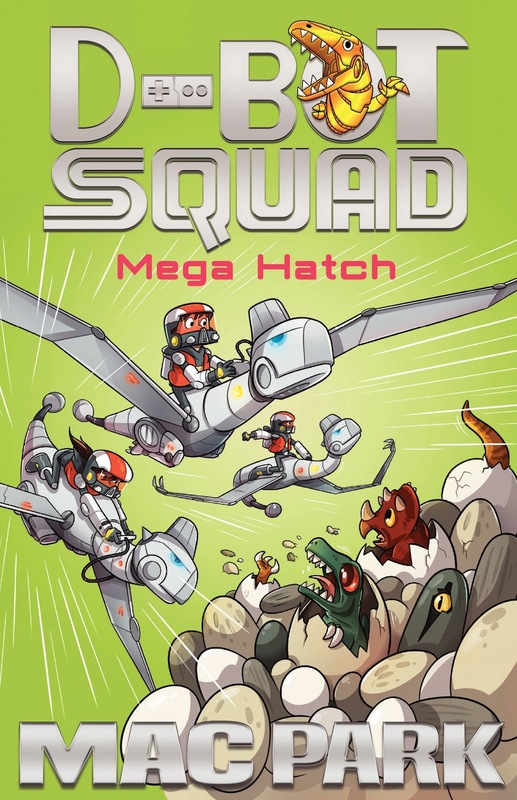 In Book seven, Mega Hatch, Hunter and his fellow D-Bot Squad members, Ethan and Charlie (and I would like to point out that Charlie is a girl), must track and capture a stampede of dinosaurs that have hatched from eggs, grown super rapidly and are now crating havoc on a deserted island. In Book eight, Dino Corp, the D-Bot Squad must wrangle the most feared dinosaur of all — the T-Rex. And not just one of them, but THREE of them. In this final instalment of the series, the team also discovers the secrets of Dino Corp, the organisation responsible for the dinosaurs. All your burning questions will be answered and some of the secrets are deliciously shocking! With dinosaurs, robots and lots of gadgets, this is a series young boys will adore. But it’s not just for boys, and I encourage young girls to give it a go. Charlie, a girl and D-Bot Squad member, is strong, wise and brave. She's a great role model and relatable character for girls. And all the stories in the series are action-packed and interesting, something all kids love no matter their gender. Park and McFarlane (or Mac Park I should say) have delivered junior fiction at it’s very best with this series. Great for boys, great for girls, fantastic for kids just learning to read! 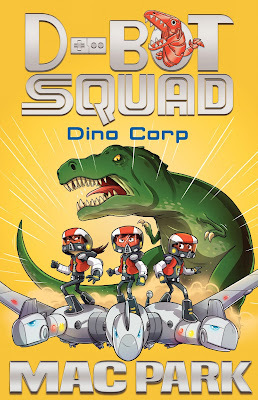 And while books seven and eight neatly wrap up Hunter Marks’ adventures as a dinosaur hunter (for now), I dare say this won’t be the last we hear from the D-Bot Squad and Dino Corp.